Quality professionals, managers, accounting and others responsible for calculating, monitoring and reducing the COQ. when they do take place. Cost of Quality provides an excellent means to measure and track costs associated with poor quality, quality improvement and quality control. But, it requires commitment from a wide range of functions throughout an organization. These groups need to have a common understanding of COQ and need to work together to establish meaningful measures. Cost of Quality online training assures the team responsible for Cost of Quality is all on the same page. Upon completing the training, team members will be able to work together to identify sources of COQ data, agree on standards for approximation values and develop a plan for regular COQ reporting. Participants will also be able to use the data to identify and prioritize improvement projects. Establish a comprehensive COQ program. Measure and track COQ performance and progress. Ensure the program is both meaningful and sustainable. 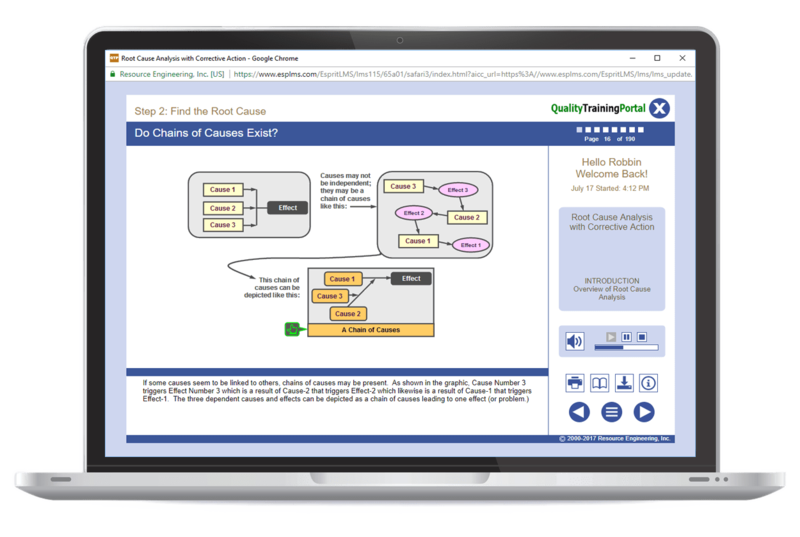 Introduction to COQ – An overview course ideal for people who need to understand the basic terminology and concepts of COQ, but will not be involved in calculating or maintaining the data. Realize the significance Prevention activities play when striving to reduce COQ. Recognize the importance of gaining commitment for a COQ effort from Process Owners. Realize the valve of involving the Financial Department right at the start. Understand the sources of data for COQ measures. Be able to group COQ data into appropriate PAF categories. Know how to use “Approximation Values” for COQ inputs. Be able to calculate Cost of Quality for each of the PAF categories and convert those inputs into COQ %. Understand how to develop a COQ Reporting and Tracking System. Understand how to effectively track COQ performance. Be aware of the need to use data to prioritize improvement targets. Realize the importance of addressing the root cause or source of problems. Be able to apply the PDCA cycle to COQ efforts. Be aware of tips that can help improve and sustain a COQ initiative. Know how to use "Approximation Values" for COQ inputs.